Interim DPS was increased 10% to 2.3p (1H18: 2.1p). Zeus view: Management confirmed that the integration is progressing very well with high staff and client retention and high satisfaction and is on track to exit the Transitional Services Agreement by June 2019. While integration has distracted revenue generators, good integration is vitally important. 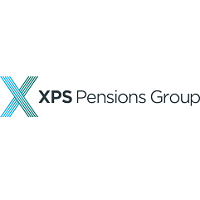 Management has indicated that underlying revenue growth in the Pensions business was most heavily impacted by the integration activities with Pensions Administration and Investment Consulting maintaining expected levels of growth. 1H revenue was split Pensions (53.5%), Pensions Administration (32.5%), Investment Consulting (7%) and Other (7%).Management has observed before that Pensions Consultancy tends to be seasonally more active in 2H of their final year. New client wins and known projects will benefit 2H19E. We have adjusted our forecasts to reflect the two small deals announced in September 2018: the purchase of Kier Pensions Unit and the sale of Healthcare Consulting Business. Overall, we leave our forecast adj PBT, Adj EPS and DPS unchanged for FY19E, FY20E and FY21E. Valuation: At 165p XPS is trading on a prospective PER of 16.0x and 4.2% dividend yield. With prospects of double digit growth, arguably the quality of XPS’ earnings and growth support a PER of 20x and dividend yield of 3.3%. Click XPS for the full archive.